Once again, John Brown Media’s high quality of work has been recognised at the 2018 International Content Marketing Awards (CMA), with 17 nominations in 11 categories for the group globally. Andrew Hirsch, CEO at John Brown Media, said: “Our teams continue to tackle all of our work with the same creativity, innovation and attention to detail, delivering cleverly-crafted, multi-channel content solutions that achieve results, whether it be for a smaller print project or a full-blown brand makeover for one of our larger clients. John Brown South Africa received 3 CMA nominations for work with long-time clients Pick n Pay and Old Mutual Corporate. Pick n Pay Fresh Living magazine received a nomination for Best Consumer, with Always On Fresh content produced for Pick n Pay grabbing the Best Annual ‘Always on’ Content Strategy nomination. Nominees for these categories are judged on their ability to maintain a strong brand presence throughout a long period of time, while being consistent in delivering high-level strategic thinking and customer recruitment and retention. 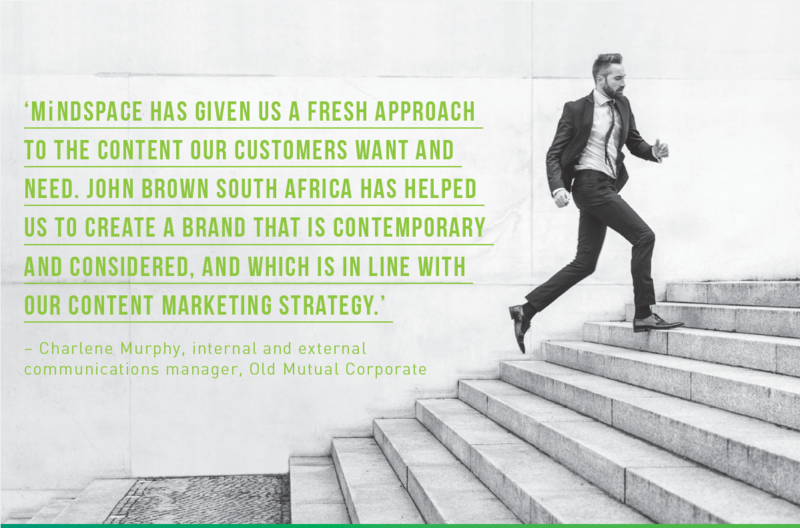 Old Mutual’s MiNDSPACE magazine, already a winner at the 2017 Content Council’s International Pearl Awards, was nominated for Best B2B Campaign. Nominees in this category are judged based on sales or share uplifts, customer recruitment and retention, as well as engagement. Justine Drake has been awarded Content Director of the Year at the 2018 Pearl Awards in New York, with Fresh Living and MiNDSPACE magazine also nominated for awards.